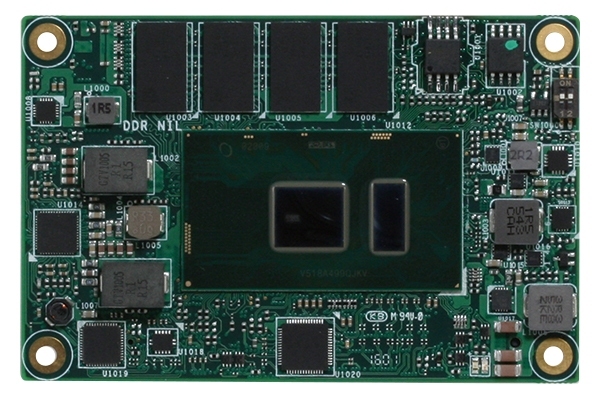 SOM-6867 is a COM-Express Compact module with pin-out Type 6 that fully complies with the PICMG (PCI Industrial Computer Manufactures Group) COM.0 R2.1 specification. 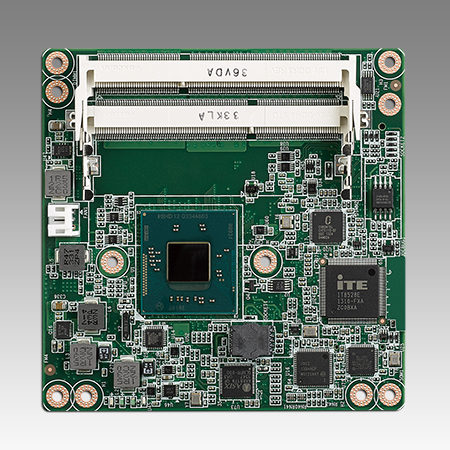 The CPU module incorporates an Intel Atom E series and Celeron N/J series processor and other peripheral chips to fulfill COM specific functions. The Intel latest processor uses 22nm. This generation brings 3 times more performance improvements than previous generations, and integrates powerful Intel HD Graphics as well as DX11.1, OpenGL3.0, OCL1.2 MPEG2, AVC/H.264, and VC-1 HW decode/ acceleration. HDMI/DVI/DP: Supports 2 ports HDMI, DVI, or DP multiplexed. PCI Express x1: Support default 4 ports PCIe x1 compliant to PCIe Gen2 (3.0 GT/s) specification, several configurable combinations may need BIOS modifies. Please contact Advantech sales or FAE for more details. SOM-6867 is a COM-Express Compact module with pin-out Type 6 that fully complies with the PICMG (PCI Industrial Computer Manufactures Group) COM.0 R2.1 specification. 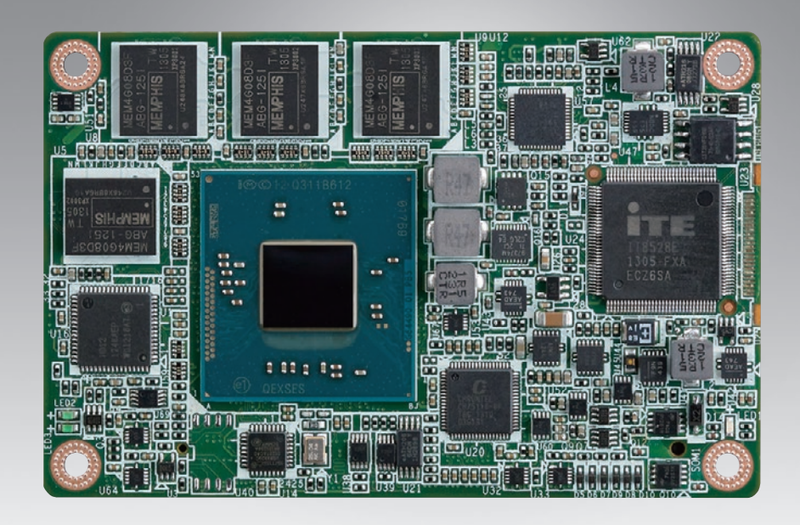 The CPU module incorporates an Intel Atom E series and Celeron N/J series processor and other peripheral chips to fulfill COM specific functions. The Intel latest processor uses 22nm. This generation brings 3 times more performance improvements than previous generations, and integrates powerful Intel HD Graphics as well as DX11.1, OpenGL3.0, OCL1.2 MPEG2, AVC/H.264, and VC-1 HW decode/ acceleration. SOM-6867 provides a variety of interfaces such as PCI Express, SATA Gen 2 USB3.0, USB client, and advanced optional functions for on-board storage. Moreover, PCIe x4 can be used as x4 or x1 - making SOM-6867 more flexible. 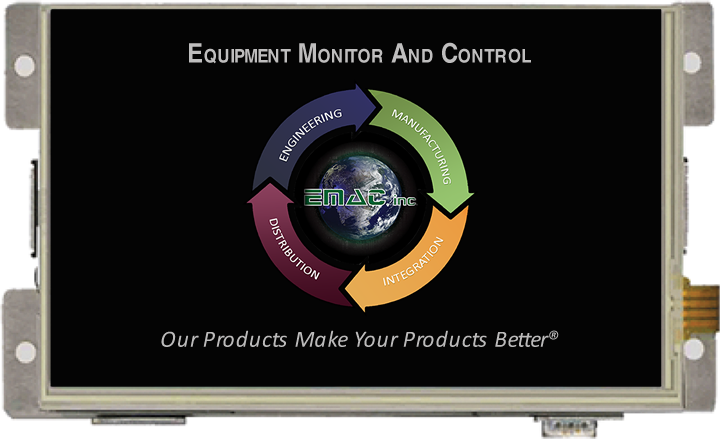 SOM-6867 is suitable for entry level portable computing applications needing thermally sensitive, rugged, graphics/media/display and I/O demanding designs.